I’ve seen more talk about depression on social media this week than ever before. 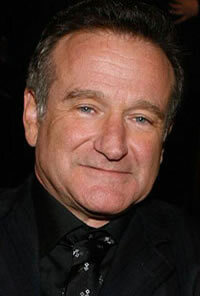 We’ve all been stunned by Robin Williams’ suicide—most of us never knew he struggled with depression. The question that keeps getting passed around is this: How could someone so funny, so apparently joyful, be depressed? This discussion has been eye opening as more and more people are thinking about depression. I’ve also seen many people open up on social media about their own struggles with depression. Depression is far more pervasive and complex than most people assume, and we’re beginning to realize that. In reality, there’s not one type of person who struggles with depression. Any type of person can be affected. There’s not one cause of depression. It’s not solely biological or circumstantial or personality-driven. There’s not one simple cure, whether a pill, a therapy, or a Bible verse. It’s a complex experience, and before we rush to diagnose and “fix” the problem, we need to spend a lot of time listening to and loving the people in our lives who experience depression. For those who are beginning to think a bit more deeply about depression, I recommend this Silo course that we recently launched, featuring our own Dr. Scott Mehl. This self-paced online mini-course is $25, and it consists of 17 sessions, each of which features a 5-6 minute video and discussion questions. It’s the perfect format for those who want to think more deeply about what depression is, how it affects us, and how we can help those who are wrestling with it. You can watch the first two sessions below, and preview the course outline here. Counseling: Introduction to the Gospel & Depression from The Silo Project on Vimeo. Counseling: Defining Depression from The Silo Project on Vimeo. Sign up for “The Gospel & Depression” here.